Tata Motors has been working on a 3 Cylinder more refined engine for Tata Nano small car which will be launched probably by 2013. The present model of Tata Nano 2012 is powered by a 624 CC Engine which produces a peak power of 37.5 BHP with a loud 2 cylinder engine. The overall refinement levels of Nano’s engine is quite basic and the engine sound does seep into the cabin. The Nano 3 Cylinder 800 CC Engine which is under development will be a more refined, balanced and powerful engine producing power of the tune of 70 BHP and torque close to 90 Nm. The new engine will not be the only upgrade, the Tata Nano has been seen as a poor man’s car with small tyres, small engine and slightly noisy engine, because of this perception, the sales of Nano are not picking up as expected initially when the Nano was introduced in India. With the new powerful engine, the upgraded Tata Nano will also feature larger wheels, better features like power steering, better braking system etc. to make Tata Nano 800 which will most likely be launched by 2013, will feature a more powerful and comparatively premium image. The price of the Tata Nano 800 is expected to be between Rs. 2 Lakhs and Rs. 2.5 Lakhs which will co-exist with the existing Tata Nano 2012 with 624 cc engine. This is somewhat similar to the co-existence of Maruti Alto and Maruti Alto K10 which are two cars under same branding but with different engine and feature sets to cater to the needs of different customers. 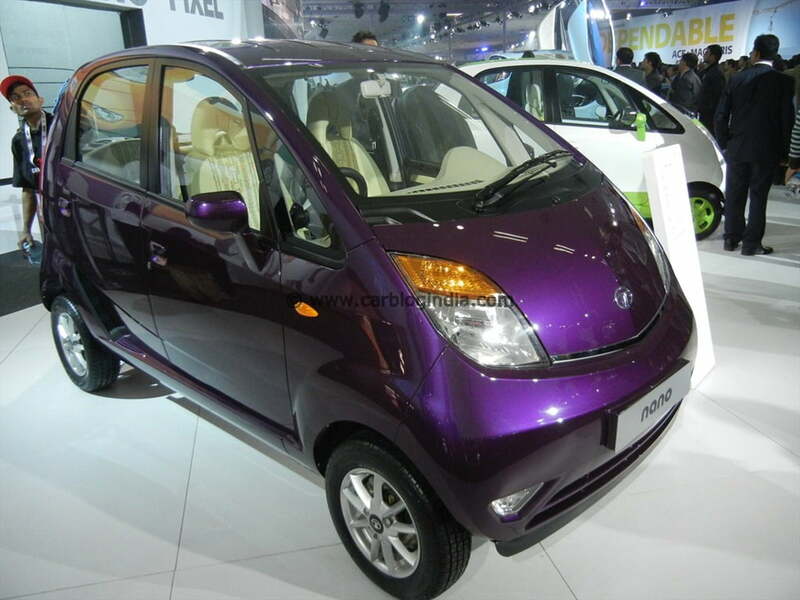 Apart from the Tata Nano 800, Tata Nano Diesel will also be launched soon, there have been speculations of a Diwali 2012 launch of the Nano Diesel. The Tata Nano Diesel will feature a 2 cylinder turbocharged diesel engine which is expected to be world’s smallest diesel engine used in a car with a fuel efficiency rating of close to 40 KMPL which is a huge leap. The Nano Diesel project may get a setback if the Indian Union Budget of 2012 implements the proposed special excise duties on Diesel cars in India which will make Diesel cars more expansive by Rs. 80,000. It will be interesting to see how Tata brings Nano 800 and Nano Diesel and gives a new meaning to the Tata Nano which has been the World’s cheapest car for quite sometime now. We will keep you updates, for more latest updates do sign up for our free email newsletter or like our official Facebook Page.